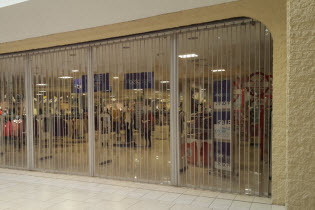 Upward Coiling - Model 670 feature an aluminum curtain and offer an attractive and versatile solution for interior or exterior use in a variety of retail, industrial and commercial settings. 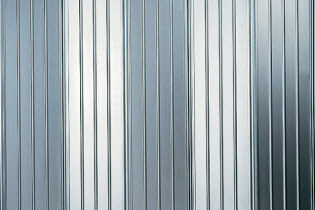 Upward Coiling - Model 671 fabricated of galvanized steel and offer an attractive and versatile solution for interior or exterior use in a variety of retail, industrial and commercial settings. 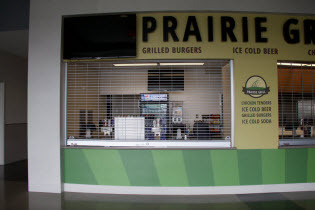 Upward Coiling - Model 674 fabricated of perforated aluminum panels and offer an attractive and secure solution for interior use in a variety of retail, healthcare, and educational settings. Side Folding Full Enclosure - Model 675 features painted perforated steel for full ventilation. Visibility: 51% of 4-3/4" (121mm) viewable area. 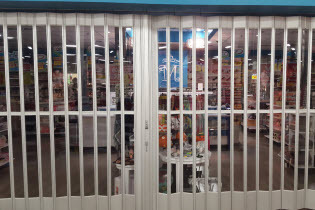 These closures are ideal for applications that require a secure barrier against theft and debris, such as retail applications in malls, airports and concourses. Side Folding Full Enclosure - Model 677 features clear fire-retardant polycarbonate for visual access and nonbreakable durability. Visibility: 100% of 4-3/4" (121 mm) viewable area. Side Folding Full Enclosure - Model 678 features tempered glass for a crystal-clear view and high durability. Visibility: 100% of 4-3/4" (121mm) viewable area. 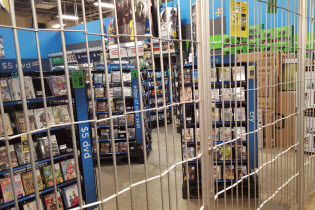 These closures are ideal for applications that require a secure barrier against theft and debris, such as retail applications in malls, airports and concourses. 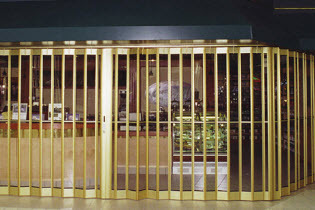 Side Folding Full Enclosure - Model 679 features a full-height, solid aluminum for maximum curtain for maximum security. 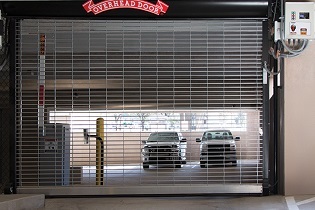 7" standard-width panels constructed of full-height, solid aluminum that slides into aluminum hinges. Visibility: 0%. 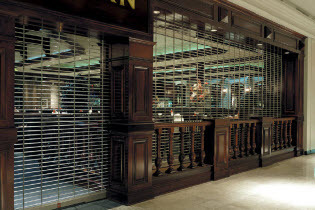 These closures are ideal for applications that require a secure barrier against theft and debris, such as retail applications in malls, airports and concourses. 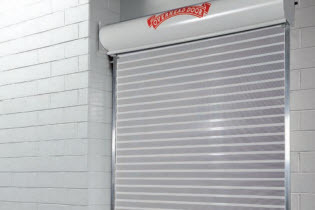 Side-Folding Open Air - Model 681 curtain design incorporates wide body 2" (51 mm) high bottom plates of truss-like aluminum and 5 1/4" (133 mm) high top plates that frame each 11 1/4" (286 mm) wide panel. 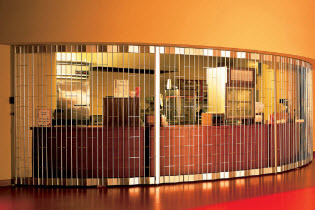 Each curtain panel is constructed of 1" (25 mm) aluminum plates spaced at 12" (305 mm) horizontal intervals incorporating three vertical rods spaced 1 7/8" (48 mm) and covered with aluminum tubes.